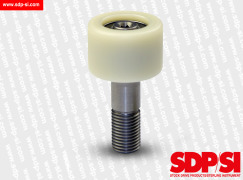 Shaftloc is a superior way to fasten rotating parts onto a shaft within seconds. 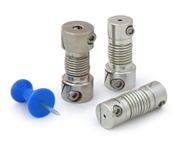 Due to its asymmetric thread geometry, a large radial clamping force is produced when the nut is tightened. It is ideal for many applications, including mounting hubless gears, sprockets, pulleys, cams or any thin-walled components onto a shaft. 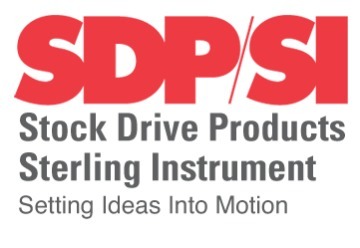 For all your small mechanical component requirements, including shafts, shaft/hub clamps, timing belts, pulleys, gears, bearings, couplings and more, go to SDP/SI. 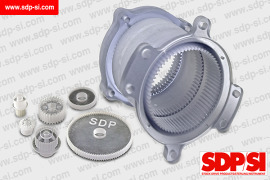 Smooth, accurate gears and optimum performance is the goal of any new design. Achieving those goals in the early design stage not only meets performance requirements but makes your design cost-efficient. A key component of this is being able to accurately predict dimensional changes due to any type of surface finishing. 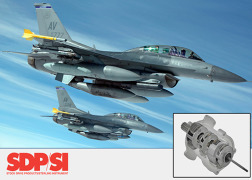 Other benefits include lower manufacturing costs and no time lost due to a design error. In a gear mechanism, the center distance between shafts and the tooth thickness of the gear define the correct mesh and reliable performance of a gear train. To achieve an accurate gear mesh in a mechanism, it is necessary to account for any dimensional changes that may occur after surface finishing, case hardening or heat treatment. Belt drives are particularly useful in applications where layout flexibility is important. They enable the designer to place components in more advantageous locations at larger distances without paying a price penalty. Timing belts are one of the most commonly used motion transmitting elements in design applications, such as robotics, aerospace, medical, military, and commercial design. There are many different types of timing belt available, with several options for tooth profile, material, color, and reinforced cord. The key to an efficient drive system is choosing the most appropriate belt - learn how here.